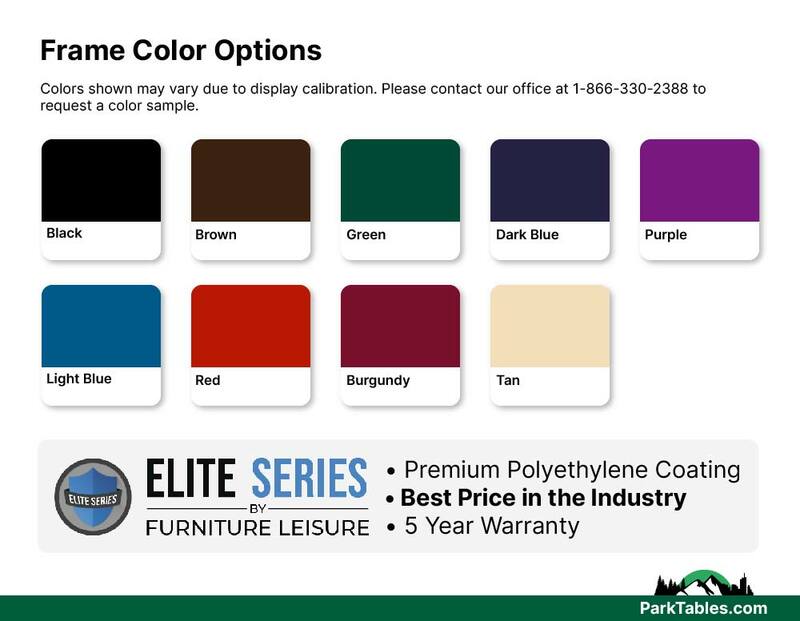 The ELITE Series brand is the perfect balance of durability and value to compliment any budget. 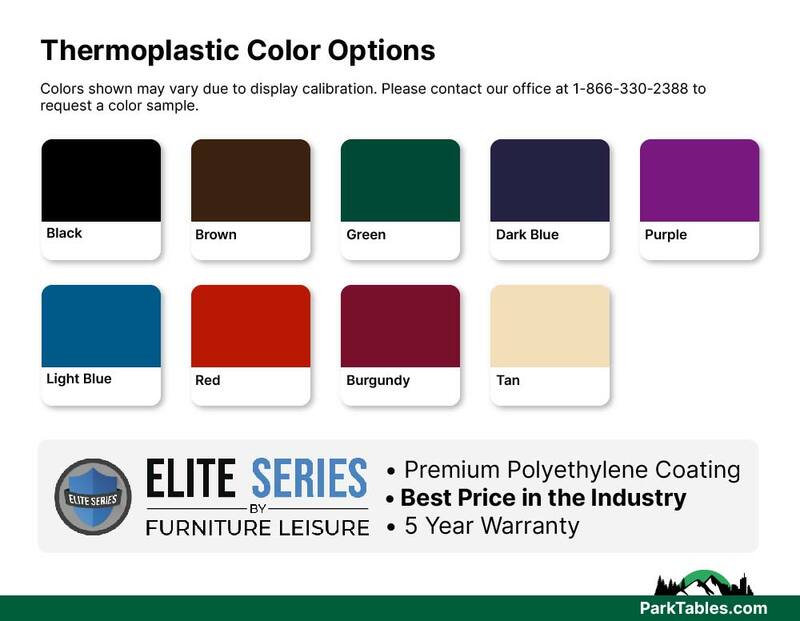 Constructed with high-quality US Steel and proprietary polyethylene coating, that features a 90% gloss shine and UV stabilizers for fade resistance. 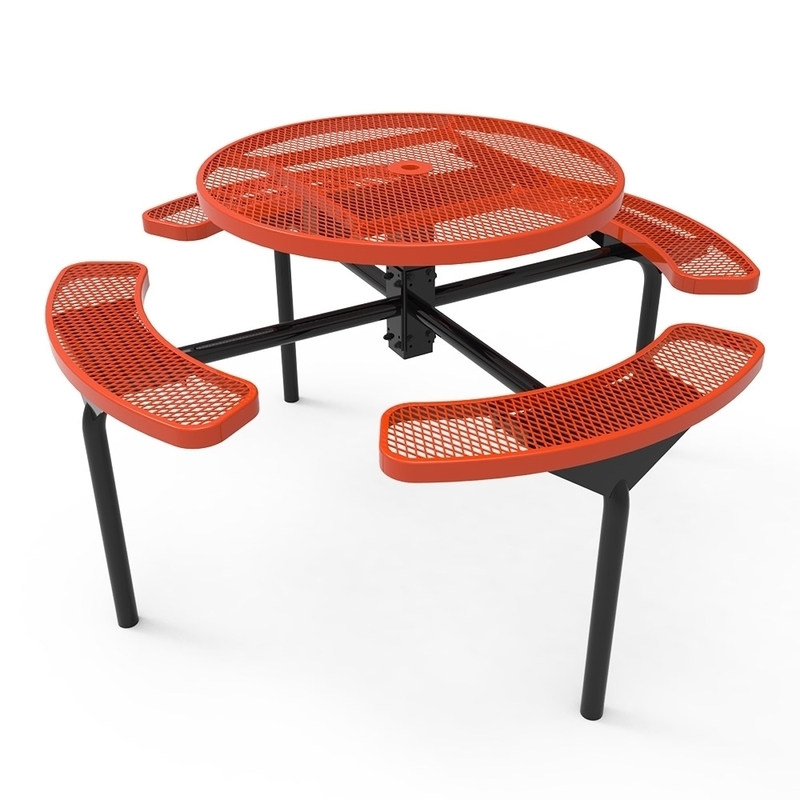 Made with either 3/4" #9 expanded or 1/2" perforated metal top and seats with a 2" powder coated steel frame. 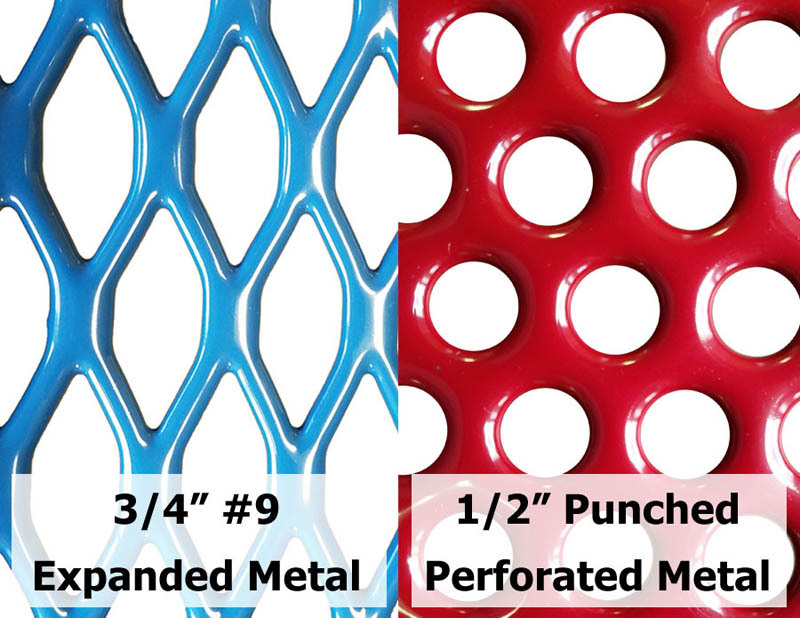 Includes bracing and xylan-coated hardware for long life and durability. 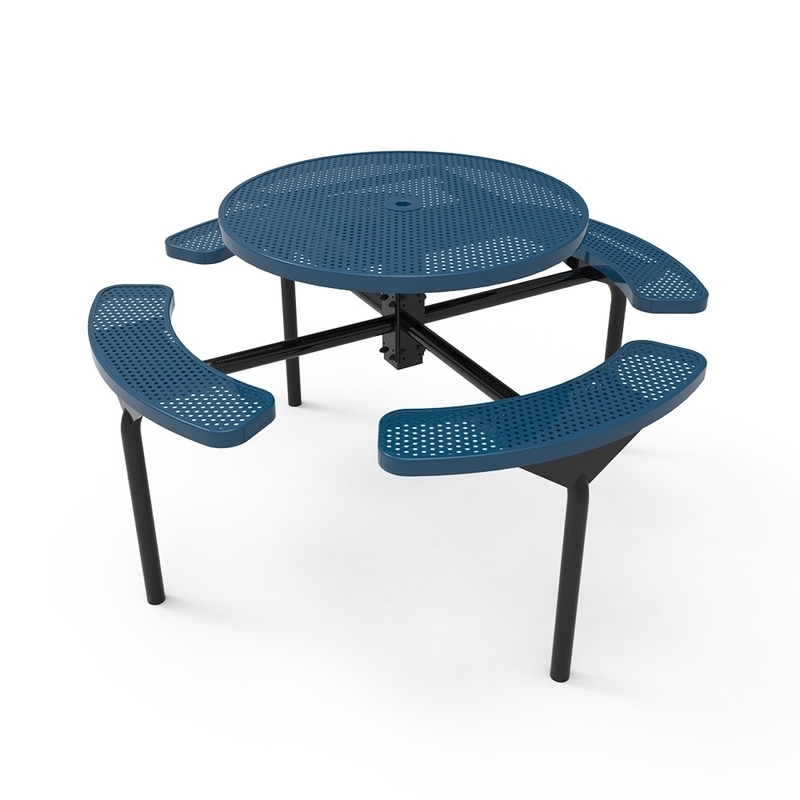 The Nexus unique design is available in either inground or surface mount for resistance to vandalism. 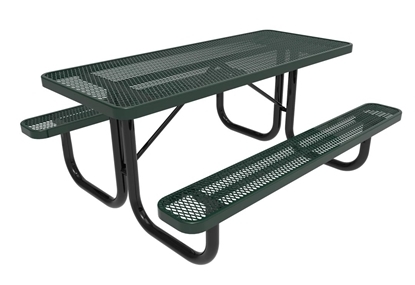 Choose from a variety of colors and mounting options to find the perfect picnic table for your park or school. 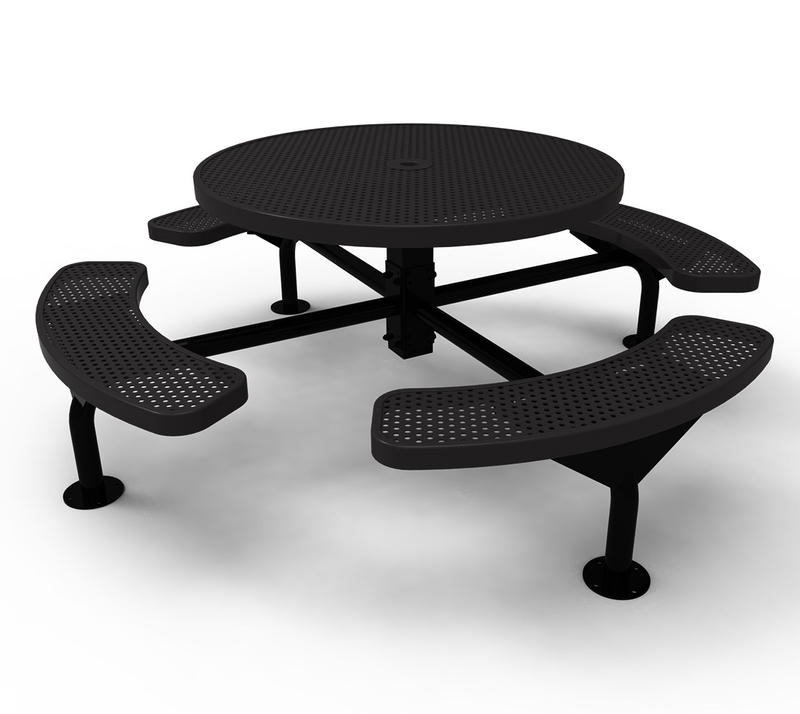 • 46" round top with 4 attached seats, seating for 8 adults.